A solution is applied to the area which will slowly break down the outer layer of the skin. Over a period of 2-5 days, the skin will begin to flake and new healthy skin will emerge. Chemical Facials help with smoothing skin texture, even out skin tones, reduce pore size and reduce superficial lines and wrinkles. 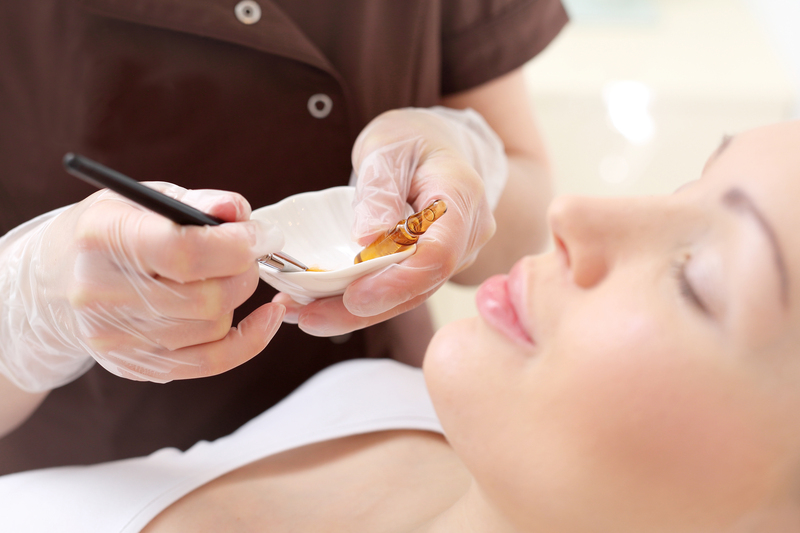 There are many different chemical solutions that can be used, however the esthetician will use their judgement as to which solution will be best for your personal requirements. Sunscreen is recommended for at least a week after the treatment to avoid sun damage to the newly formed skin. Excessive heat such as hot shower, sauna’s, hot tubs etc, should also be avoided for a week.